The new Head of News at BBC in Scotland, (succeeding “bully boy” John Boothman) is a 54-year-old Scot who grew up in Glasgow and attended Kelvin-side Academy. He went on to study English at Glasgow University and did a post-graduate journalism course at Cardiff University. He is a London based Scot who has been with the BBC news and current affairs team in England for over 17 years. In that time he has been the, Political Editor of BBC News, Assistant Editor BBC Nine O’clock News and UK News Editor at the Television Centre in London. A company man whose loyalty to the corporate body of the BBC is unquestionable he will strengthen the already strong links between London and Scotland. The chain of command will start and end in London. It is rumoured Gary was not the choice of senior managers at the BBC in Scotland, their preference being to promote from within. To that end a well established fiery, female journalist and news presenter was encouraged to believe she was a “shoo in” applied and had been interviewed for the post and rejected by the London based selection panel. If true portents for the future are not good. The infusion of “new blood” is also touted to be the start of a process leading to the elimination of the invidious influence on the present News and Current affairs team of the Labour Party in Scotland replacing it with the political dogma of a more reliable Unionist minded party. The introduction of Gary will be followed by journalists, selected from approved sources outwith BBC Scotland. The coup will not be bloodless but career conscious incumbent personnel will be sifted out silently without protest, over time. “I’ve a passion and commitment for providing accurate, clear, informative, honest journalism with integrity and impartiality. After 30 years in broadcast journalism, this is the job I’ve always wanted. The story of Scotland in a devolved UK is one of the most important themes of this decade. Reporting and analysing this with insight, accuracy and impartiality for audiences both in Scotland and the rest of the UK is one of the biggest challenges faced by the BBC now and in the coming years. I am very keen to focus on not just one platform ahead of others but to share content across the different platforms we provide our news on, whether that is TV, radio, the web or social media. Content is at the centre of what we do and the best journalism has to be spread across all our platforms as much as possible to ensure we reach the biggest audience. We also have to ensure our journalism is relevant to our entire audience. That means different content in different places. Younger people get their news differently from the way we have traditionally delivered news in the BBC. So connecting with a younger audience through social media is crucial. 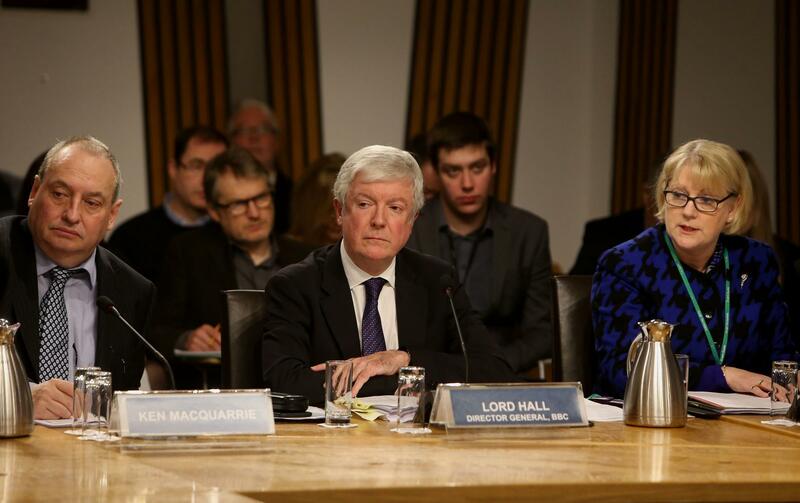 BBC in Scotland Management – Realistic or Wishy Washy? Managers at the BBC in Scotland have been pressing the executive in London to commission a flagship “Scottish Six” news programme to help answer ever growing complaints about its weak coverage of Scottish affairs. They have also been seeking a substantial expansion of the BBC in Scotland’s news and programme-making budget, including funding a third national radio service for Scotland. Ambitious plans adding an extra digital television channel and new online programming have been abandoned in the wake of swingeing spending cuts. 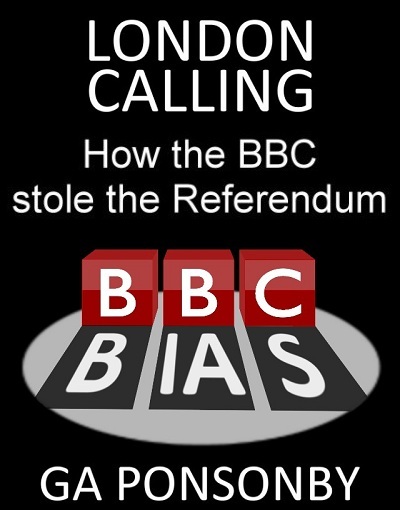 But their proposals are encountering substantial resistance from BBC executives in London. It is also rumoured that any extra funds for news and current affairs are being ear-marked towards other projects, including a beefed up Korean service. Questioned by the media, Smith said that no decisions had been taken on what BBC news output for audiences in Scotland will look like in future. But a BBC news review is underway and, forming part of that different programme formats and audience research will be conducted before any conclusions are arrived at. A core essential will be the ambition to deliver the best possible news offering for the audience in Scotland. Announcing big changes in the corporation’s coverage of public life in Scotland Smith said, “the news is to be sharper in style, tougher and more analytic. The BBC has become “overstretched” in recent years, with reductions in staffing but no fall off in output. It’s time now to live within our means, time to focus on our core programmes”. Under media pressure in Scotland the BBC executive in London confirmed it is pressing ahead with controversial plans for a Scottish Six flagship news programme. Corporation bosses said they would soon begin trialling a new hour-long news programme that could replace both Reporting Scotland and the Six O’clock News north of the Border. Three options for a new format, are under consideration but no decision had yet been taken on which, if any, would be introduced. Some staff in the BBC in Scotland, News and Current Affairs team are said to be angry that they presently do not have the manpower or resources to handle new programmes and have threatened to boycott the project unless senior management agree to a full consultation. BBC Scotland’s head of news Gary Smith is understood to have spoken to staff yesterday in a bid to allay fears. Critics fear the change is likely to lead to more parochial programming and Scottish Labour culture spokeswoman Claire Baker MSP said: “Whilst I have welcomed the review of news coverage in Scotland as a result of new powers coming to Holyrood, I have always said that any change must strike a balance between Scottish news coverage and the continuing demand for quality international and relevant UK wide reporting. A Scottish Six must be fully consulted with staff and more importantly the general public, with focus groups showing a clear desire for a UK perspective on UK and international stories. A BBC Scotland spokesman said: “We’ve said very publicly that we are conducting a news review at present and we’ll be looking at various different programme formats and carrying out audience research as part of that process. We have told our news teams that we will be carrying out some non-broadcast pilots and we’ll obviously talk to staff as we proceed with this work and discuss fully any implications on them. Proposals for a “Scottish Six” submitted for consideration and approval, by the BBC in Scotland management were met with derision by executives in London. But accepting political reality required a debate, draft proposals were not rejected but were “put out to the long grass” with a loose commitment to arrive at a final decision towards the end of 2016. Difficulties to be resolved are associated with implementation and how content from overseas will be gathered and shared with material from the UK network. It was suggested that Scottish correspondents employed as foreign correspondents or as specialists in London might routinely contribute to the presentation of the new programming. Overall control of direction and editorial decision needs to be firmly established together with lines of responsibility between staff based in Scotland and management, journalists and presenters in London. An option to be given consideration is the introduction of a direct replacement for the BBC1 Six O’clock news or a stand-alone programme which might air on BBC2 Scotland mid-evening, possibly replacing the nine-o-clock news.. But, regardless of whichever option is finally chosen the BBC’s current regional news programme “Reporting Scotland” on BBC1 will be scrapped after less than three years on air. The competition from the S.T.V. news programme, “Scotland Tonight” has rendered the flagship current affairs show Scotland 2016 (anchored by Sarah Smith) unviable with less than 30,000 viewers and reducing. Staff associated with the programme will be redeployed to other projects. News night will be resurrected and broadcast nightly throughout the BBC network, (including Scotland). Radio Scotland’s The Big Debate with Gordon Brewer and Douglas Fraser’s Business Scotland weekend slots will also be shut down. Her role will reflect the re-alignment of UK politics following the 2015 General Election. The key purpose of the new look service is to provide greatly enhanced UK coverage and analysis of significant stories for the pan-UK audience across all network output, including the Six and Ten O’clock News, the Today programme, the radio bulletins and the BBC News website. Seems to be simply an input of news content, (with a slightly Scottish bent from time to time) from the BBC in London. The reorganisation of the News and Current Affairs team is underway with a vengeance. As projected Gary Smith is determined to stamp his authority and style on the weak team he inherited. He has recruited (S.T.V.’s) Howard Simpson to be the team’s News Editor. I am a strategic, creative thinker and a journalistic leader who inspires strong teamwork. I have over fifteen years experience in TV production and nearly ten years in senior management. I have an exceptional record in change management and in the discipline of meeting financial targets that serve business requirements. Above all I am a great communicator who creates opportunities and delivers results. I have managed and adapted the S.T.V news team for the best part of the last decade. This has meant leading change through licence renewal, the onset of a bespoke Edinburgh 30 minute daily news programme, the conceptualisation, launch and ongoing success of Scotland Tonight, as well as the genesis of a multi platform news-gathering model. I have worked with I.T.V. Sport in discussing our opt outs for U.E F.A. Champions League and International Friendlies and the S.P.F.L for securing unique S.T.V. content. I maintain that a news division can only ever be as good as its people. I have found that newsrooms work best from the bottom up. I believe that a news assistant is as important as a senior editor. They all have to be facing the same way and believe in the project. In conclusion, I can lead and react to an ever changing news agenda. I led S.T.V. news to an R.T.S. Scotland award for news programming last year for our coverage of the Clutha tragedy. I am a programme maker – one of the most successful is Scotland Tonight which is superior to its rivals in tone, style and depth. I think strategically and want to play a part in shaping Scotland’s news and current affairs output within the wider changing political and technological culture. I am a leader – I have an unblemished record in change management; building and crucially, rebuilding team cultures that are highly motivated and results focussed. In short, people like to work for me. Roper was formally digital editor of S.T.V. with responsibility. for online news, current affairs and sport output. He was also involved in the launch of S.T.V.’s “News App.” and was a key player in the successful launch of Scotland Tonight’s online presence. Scotland’s relationship with the British Broadcasting Corporation (BBC) has travelled full circle and we are effectively back at 1926. Scottish broadcasting autonomy is a duck that never flew under the strict corporate governance of a State controlled entity. The introduction of Gary “the grey man” Smith and his centralised policy driven agenda to the Glasgow News and Current Affairs Team is the ultimate betrayal of Scotland. It is now a dead duck. Hi you need a wee title under the table from on of my reports. Brilliant piece otherwise. You need a title under the table, from one of my reports. Brilliant piece otherwise. Does any other country have a “fifth colunm” like Scot. has at BBC Scot. ?Forever dishing country down,misinforforming and withholding info. Next Next post: 1919 – Westminster Removed Their Weapons and Locked-Down Scottish Soldiers in Their Barracks – Then Illegally Deployed An English Battle Group and Declared Martial Law Against the Scottish Public. What Will a No Deal Brexit Bring?